Carol Harper writes: My Grandaddy, John Henry Harris, built this cotton gin along with gins in Jesup, Cordele, and Sylvester. My father, William H. (Bill) Cooper, managed the Patterson Gin and was chief ginner there for many years. 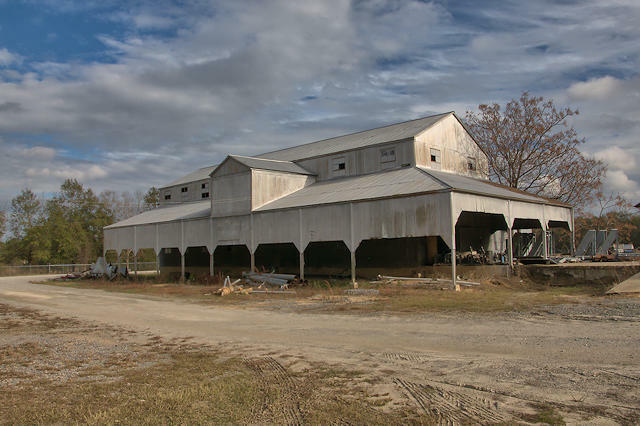 After my Grandaddy’s death and the devastation of cotton crops by the boll weevil, the gin was dismantled, my parents purchased the business, and what was once a cotton gin became a farm supply and custom fertilizer spreading operation. My two younger brothers, Bill Jr. and Charlie, and I considered ourselves very fortunate to have grown up surrounded by the sight and smell of King Cotton. Our Mother, Jean Harris Cooper, managed the gin office while Daddy ginned the cotton. Today, once again, I am proud to write cotton grows on my farm in Pierce County. 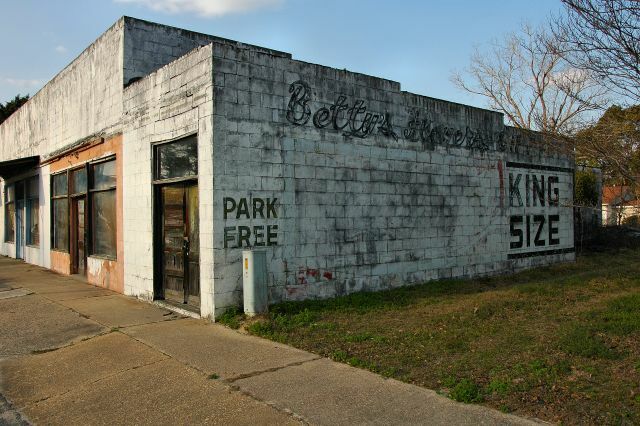 Betty’s Flowers was the small business on the end of this row of long-abandoned commercial storefronts. 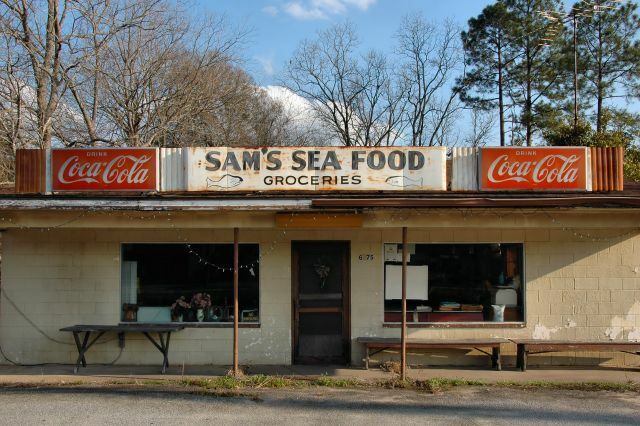 Update: As of 2015, the iconic signage on this landmark had been removed.